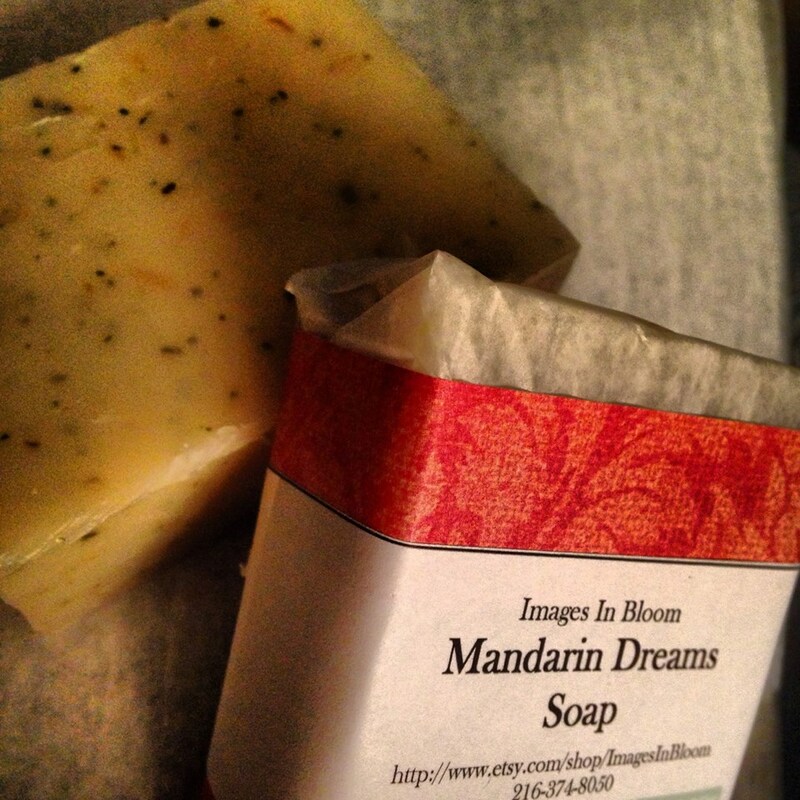 Its our latest creation – Mandarin Dreams – A soap that is a blend of olive and coconut oils, blended with neroli essential oil, mandarin essential oil, and a bouquet of botanicals that include nettle, oat straw, rose hips dandelion leaves and chamomile. Neroli is the technical term of a specific bitter orange that is grown in particular in Italy where the climate is perfect for growing this citrus fruit. The essential oil produced by collecting the flower blossoms of the plant, and gently distilling them through a water distillation process. The flowers are collected in spring (April/May). Neroli essential oil is the base of about 25% of all women’s perfumes manufactured. It is prized for a soft orange honey fragrance that is warm, and blends well with other citrus essential oils. Mandarin orange essential oil is developed by a cold process extraction of the oils from the peel. Mandarin is considered the sweetest of the citrus family, offering a rich and bright note of orange. Botanicals added to the soap formula bring slight fragrance, and great benefit. Nettle is noted to be a healthy option when added to tea. Among the claims herbal specialists make about Nettle are the reduction of inflammation, relief for various digestive issues, such as irritable bowel syndrome, and wonderful for skin soothing. Most of the botanicals are considered anti inflammatory. While we mention what others have written about these botanicals, we make no claim that our soap had medicinal qualities. We do claim that it will offer a gentle and natural clean with a rich and heavenly scented lather. Soaps made wit h a higher percentage of coconut oil in the formulary will be harder, and last longer. Coconut oil is prized for leaning power, and moisturizing capability. We think you will like this new formula and aroma of this soap… the ingredients are natural. The process is cold process, and the formula is an exciting new update to our line. We are proud to be able to display the seal of the Handcrafted Soapmakers Guild on each of our products. This indicates our products are made to a higher standard.